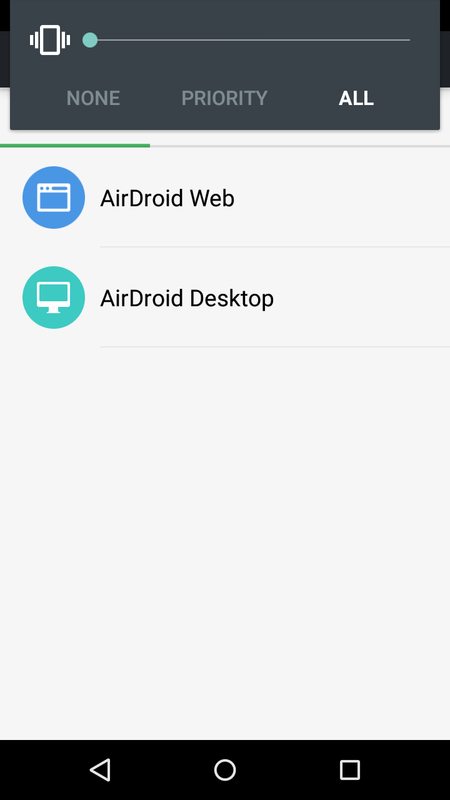 Hi - I have dowloaded AirDroid on both my Moto XT1068 and my PC. I can access my phone through the PC account (read messages, view contacts etc) but my phone does not recognise that I have signed in to my account on my PC. I want to transfer files from phone to PC (i.e. 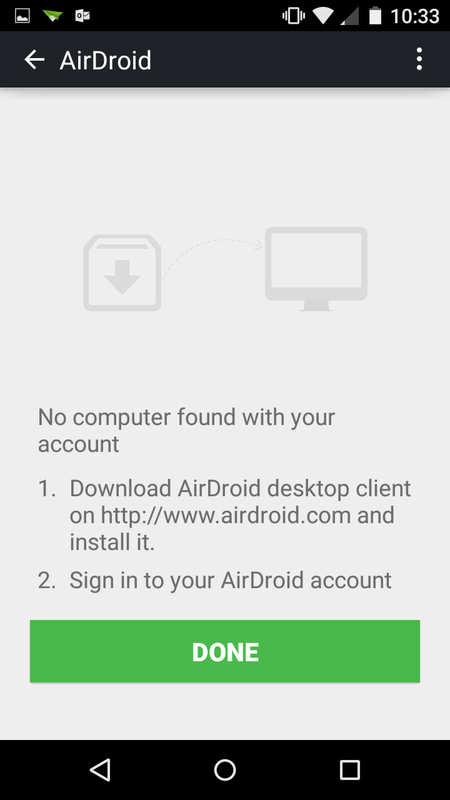 to bak up my contact list) but can't because when I hit the "AirDroid Desktop" button it says "No computer found with your account" even though I am signed in to that account on the PC. Please can you help? Hi, would you please sign out and sign in again to your phone to see if it works. Still the same I'm afraid - when I hit the File Transfer" icon on my phone the next screen comes up with "Airdroid Desktop" and when I click on that I get a message "No computer found with your account" with instructions on how to set one up & a 'Done' button to press at the end. 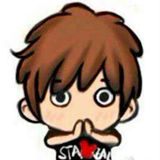 I have signed off and on again on both the desktop & phone but no change. My phone connects with the desktop fine in other ways - I get an alert on the handset when I log in on the desktop and I can read/send texts from the PC. Thanks for the suggestion - any other ideas? Would you please send us the screenshot of the error message? Thanks - I have attached the 3 screen shots from my phone in sequence. When I get to the last one I have tried logging off and back on on my PC but this doesn't make any difference - still get the "Can't find computer.."
Carol Moffatt likes this post. I'm having the same issue. I've logged off and back on from my phone and my computer and when I try hit file transfer on my phone I get "no computer found with your account. Additionally, there is no sound with the video on the home page. I checked my speakers with other videos and it's working fine. I have a Samsung Note 5 and and IMAC. Hi, would you please uninstall and then install again on both of your phone and PC to see if it works?